Parents with a special needs child often insure themselves to provide for their child when they have died. A more complicated issue is whether the parents should consider purchasing life insurance on the life of their child to address the possibility that they will outlive their child. Purchasing a life insurance policy on the life of a child with disabilities can provide several benefits for family caregivers. The purpose of this article is to explain these benefits, provide an overview of the application process and describe the types of policies that may be available, while highlighting some of the special considerations that family caregivers should understand. The information here expands on suggestions offered on Life Insurance and Children with a Disability in an earlier article in The Voice. For caregivers who have foregone career development to provide care to a child with special needs, retirement savings, pension amounts and even Social Security benefits may be adversely affected. A life insurance policy on the life of the child may help to replace the caregiver’s lost wages and retirement accounts at the child’s death. In most cases, when the insured person dies, insurance proceeds will be paid to the designated beneficiaries free of any income tax. Although it is not pleasant to think about, having a life insurance policy may help cover funeral expenses and make up for lost income opportunities. Before you purchase life insurance on the child with disabilities, you should know something about the process of purchasing a policy and the available options. First, you should contact a reputable advisor. The insurance industry can be driven by commissions, so find an advisor who will put your family needs ahead of personal gain and who understands the guidelines for writing policies on a person with disabilities. 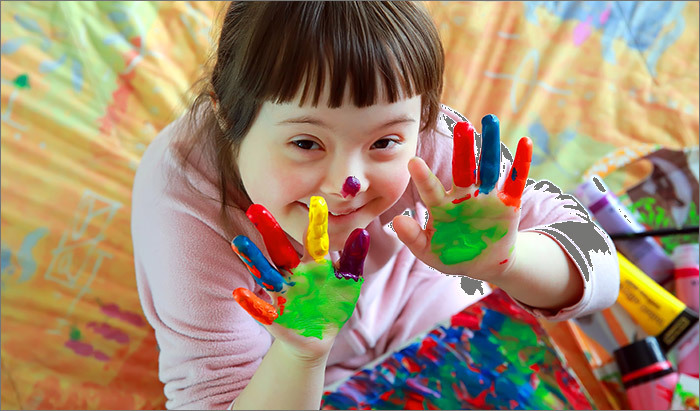 Some advisors may suggest that a child with special needs may not be insurable due to pre-existing conditions or disabilities. Do not accept this response as a final denial of coverage. Despite such conditions, there may still be options to obtain insurance, such as requesting a rating, a graded life benefit, or a policy based on the functional level of your child (explained in more detail below). One of the important considerations when applying for insurance is to present the medical and psychological issues in a light most favorable for issuance of the policy. The details about any medical or psychological issues must be completed accurately and honestly, but there is usually no requirement to volunteer additional information. If the company wishes to request further explanation about test results or details surrounding the capacity of a person to perform certain tasks, it may do so at a later date. Another important consideration is to determine the amount of coverage to request, which depends on your reasons for purchasing a policy. If the proceeds are intended to cover only funeral and related expenses, there is probably no need for a substantial death benefit. If the proceeds will be used to support dependents or to replace a caregiver’s lost wages, a larger death benefit may be appropriate. When the application is complete, the advisor will send it, along with required medical information, to the underwriter. After underwriter review of the application and the requested death benefit, the company then determines whether to decline the application or to approve it with a standard benefit, a rated benefit, or with lower coverage than requested. Since the child is often a minor or is receiving Medicaid or other means-tested government benefits, the child should not own the policy. The cash value of the policy is a countable asset of the owner for purposes of Medicaid and SSI, programs which have very low asset limits. Loss of these critical benefits could be catastrophic for the child. You may be the owner, as long as you do not have long-term care or estate tax issues, which could cause complications for you. An alternative could be to have another child own the policy, or, for a larger policy, to have an appropriate type of trust as the owner and the beneficiary. After the details of the policy have been arranged, it is time to start making payments. The premiums, of course, will also be a factor for determining how much insurance to request. It is interesting to note that sometimes, a person who is younger will have a higher cost of insurance than that of an older person. For instance, a person who is only 10 years old may have a premium greater than that of a 20 year old since a 20 year old has already lived to the age of 20 whereas the 10 year old has 10 more years to obtain that age. On the other hand, some companies do charge more if the insured person is older. For instance, the sample analysis by one company for a male age 10 with a death benefit of $25,000 will cost $179 per year whereas a 20-year-old male would pay $202 per year for the same coverage. The cost of premiums will also vary depending upon whether the policy is “term” insurance or “whole life” insurance. Term insurance is guaranteed for a set number of years such as 20 years. When the term ends, the insurance company may or may not agree to renew the policy for an additional term. There is no accumulated cash value to a term insurance policy. Whole life insurance, on the other hand, is typically for the lifetime of the insured with a guaranteed death benefit regardless of the age at death so long as the proposed premium schedule is maintained. The insurance company cannot refuse to renew the policy as long as premiums are paid. Whole life insurance typically accumulates a value over time referred to as the cash surrender value. Term life insurance is cheaper than whole life insurance as it does not provide any cash value. Note that there are also “hybrid” policies that combine aspects of term and whole life insurance. These policies are a little more difficult to understand, and an explanation here would unnecessarily bog us down — ask your insurance advisor for an explanation and comparison of the different types of policies. The above steps and considerations highlight the process of purchasing an insurance policy on the life of a person with special needs. The following summarizes in more detail the types of policies that may be available. Even though premiums may be higher, a whole life policy that guarantees coverage for the lifetime of your child will ensure continued coverage if health conditions deteriorate over time. If your child’s health is stable and not likely to deteriorate over time, then term insurance may be less risky. A rating or a graded life benefit is not a denial of coverage, but rather is an adjustment the insurance company makes about how or when benefits will be paid. Instead of paying a fixed amount upon the death of the insured party, a graded life benefit may schedule various benefit amounts based on the number of years of survival after the application. For instance, if the insured dies in the first year, the premium will merely be returned without interest. If the insured dies in the second year, the death benefit may be 50% of the face amount of the policy, death in the third year being 75% of the face amount, and in the fourth year and thereafter, the death benefit will be the full amount. However, if the insured dies as a result of an accident and not from natural causes, then the full face amount may be paid. Other policies may be issued as well as charged based on the level of functioning of the insured. Thus the amount of insurance for which a high functioning person can qualify may exceed the amount issued to a person with more severe impairments. High functioning autism is comparable to an IQ of 70. The insured should have no or only minimal impairment in sensory motor ability and should have well developed language skills. Mild functioning autism is comparable to an IQ range between 50 and 70. To qualify under this description, an insured should have minimal impairment in sensory motor ability and be able to acquire grade school academic skills. The insured should be able to achieve vocational skills for self-support, even with assistance or guidance, but may also be able to live independently or with limited supervision. Moderate functioning autism is comparable to an IQ range between 35 and 49. To qualify under this description, an insured should be able to acquire some communication and personal care skills through training. The insured may have academic skills limited to the early grade school level, and social skills are significantly impaired, but the insured may be able to perform unskilled or semi-skilled labor under supervision. Severe functioning autism is comparable to an IQ range between 20 and 34. Insured parties in this description show poor motor development, minimal speech, and little to no communication skills. Profound functioning autism is comparable to an IQ of about 20 or less. Insured parties in this description have minimal speech development and self-care ability, may need to live in a closely supervised setting, and may be able to perform only a few simple tasks with training. In each of the above descriptions, the underwriting decision of a company will depend on various issues such as the diagnosis, the presence of co-morbid disorder such as depression, anxiety and obsessive compulsive disorders, any history of seizures and epilepsy, level of intellectual functioning, IQ, and the ability to work and live independently. The mere fact that a person has a disability of any type may affect the premiums or terms of the life insurance policy, but is not necessarily a cause for denial. In addition, since there is no cost to applying for a policy, there is really nothing to lose in an attempt to obtain coverage. It may be that if a person has not been fully diagnosed when the application is denied, an application may be resubmitted a few years later when a person may have been sufficiently trained in self-sufficiency tasks to allow a policy to be issued. Whether you would benefit from purchasing insurance on your child is complicated and, sadly, is premised on the possibility that you could outlive your child. The cost of any policy must be weighed against the potential benefits to you. Having a knowledgeable insurance advisor review options can help you make an informed decision. We hope you find this newsletter useful and informative, but it is not the same as legal counsel. A free newsletter is ultimately worth everything it costs you; you rely on it at your own risk. Good legal advice includes a review of all of the facts of your situation, including many that may at first blush seem to you not to matter. The plan it generates is sensitive to your goals and wishes while taking into account a whole panoply of laws, rules and practices, many not published. That is what The Special Needs Alliance is all about. Contact information for a member in your state may be obtained by calling toll-free (877) 572-8472, or by visiting the Special Needs Alliance online. The Voice is the e-mail newsletter of The Special Needs Alliance. This installment was written by SNA member Hyman G. Darling, a partner in the Springfield, Massachusetts, firm of Bacon Wilson, P.C. Mr. Darling concentrates his practice in estate planning, elder law, probate, special needs and guardianships/conservatorships. Before joining Bacon Wilson, he was a trust officer for several years. A frequent speaker for civic and charitable organizations, he serves on the American Cancer Society National Professional Advisory Committee and the boards of several western Massachusetts nonprofit organizations for persons with disabilities. He is a member of the National Academy of Elder Law Attorneys Board of Directors.